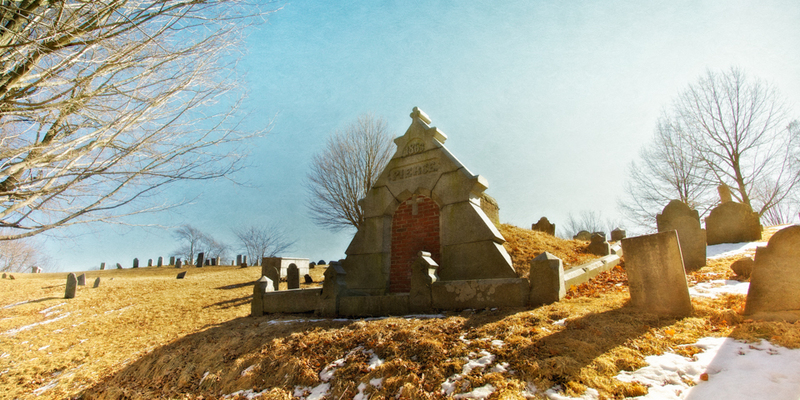 The Pierce Tomb, Newburyport, Essex County, Massachusetts. Alice Cooper wrote that, and most people will generally agree that it’s rather twisted. But in truth, Alice turned out to be a pretty normal guy, more or less, and the song is fictional. The mysteries of the dead, the decay of the corpse, has long been a source for gruesome fiction. The following story, however,Â is quite true. 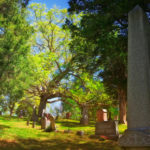 The final resting place of a certain Pierce family can be found on the slopes of Old Burial Hill in Newburyport, Massachusetts. The tomb is imposing – ornamental but still disciplined, as fitting a respectable New England family. Inside, if the records are correct, you’ll find a drowning victim, a Civil War veteran and his family – three of which died of tuberculosis. 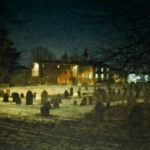 Many of us wander graveyards in the day, and during the night as well, and Old Burial Hill is a great one for wandering. There’s nothing strange about that. Well, perhaps a little strange, but a little strange is to be commended. But who among us would actually make our way inside the tomb at night? Have drinking bouts with the corpses? Don the dead one’s clothing? The Pierce Crypt has suffered such indignities and more, and on several occasions. In truth, nobody seems to know exactly how many break-ins have occurred, but it’s thought to be five or more. The first was in 1925, when teenage boys slipped inside, dangling on ropes lowered from above, unwrapped the corpses from their winding sheets, then poked the corpses, now nearly mummified, with sticks. They then propped the bodies so that they appeared to be attending a candle-lit seance. For the finale of the adventure, they put on the clothes of the rotting corpses and paraded around Frog Pond, which lies below Old Burial Hill. Old Burial Hill, Newburyport, Massachusetts with Frog Pond below. Curiously named Frog Pond, was formed during the last ice age, when a large chunk of ice embedded itself into the Massachusetts earth. As the ice melted, a deep pond was formed. There are rumors of brick tunnels beneath the pond, running to the sea, which were used possibly for the Underground Railroad during the Civil War, and possibly for smuggling. It is also reputed to be haunted. The oddly attired teens attracted the attention of the local constables, confessed everything, the clothes were returned to their deceased owners, who were then once more neatly packed away, the tomb sealed and everything forgotten. There is no record what was done with the vandals. Then in 1985, the tomb became a party house for a group of ten teens, part of a loose club. The tomb was broken into, corpses were once more unpacked and made honorary members of the club. Alcohol was poured down the throats of the decomposed corpses. Stories of more, unspeakable acts popped up as well, and the local police turned to the newspaper for assistance. A story was printed, revealing the fact that some of the occupants had died of tuberculosis, and whoever had been in contact with them should be tested immediately. Which worked of course, as quite often vandals are – well, stupid. In 2005, it happened again. This time, allegedly a single perp who was already doing community service broke into the tomb, severed the head and part of the collar bone off one skeleton with a rock, plopped the head on his shoulder and went back outside to freak out his coworkers. Which seemed to work, as they all fled with the possible exception of one, who took a snapshot of the fellow with the mummified skull on his shoulder. He then cavorted around the graveyard with the skull and bones. The photo found its way into the hands of the police, the peculiar fellow was arrested, pled guilty and got two and a half years in the big house. The door to the tomb is now thoroughly bricked up. 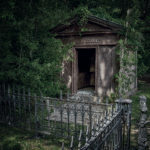 The Pierce Tomb is said to be haunted, and it’s certainly conceivable, at least by those who spend a lot of time watching horror films, that the dead called to these seemingly witless young men. But more likely, people just sometimes do bizarre acts for no apparent reason. You’ve got to admit though, it is odd that one tomb would attract so much bizarre attention, over a span of 80 years at that. Anyway, the Pierce Tomb is quiet. For now. 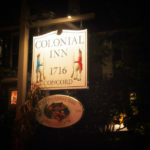 Gothic Travel Guide: Newburyport is a gorgeous village, great for a stroll in the day or night. Old Burial Hill is an amazing cemetery to wander as well. Of course it’s large enough to sneak in without being spotted, as this article proves. Below the hill lies Frog Pond, also thought to be haunted. 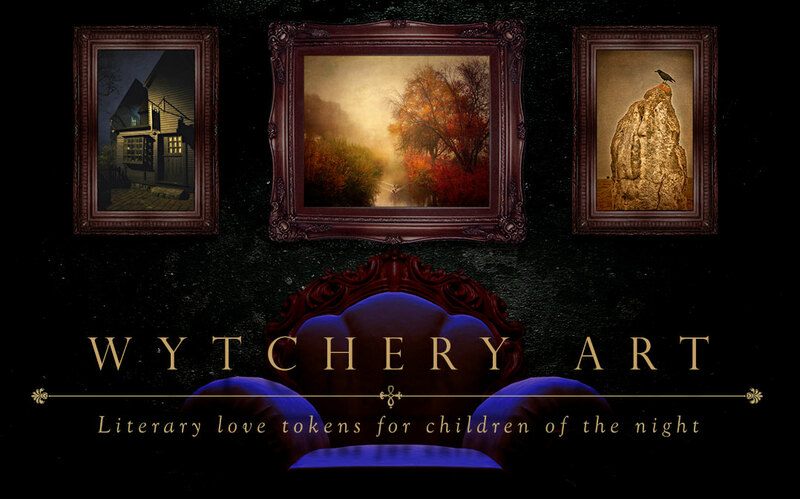 There are no big scares here, just a sense of morbid curiosity perhaps, as well as historical interest. Still it’s worth a look and a walk, if nothing else than to study tombstones. Certainly enough for a three crypt rating. The Devil in Old Salem: Proctor's Ledge, the real Gallow's Hill?